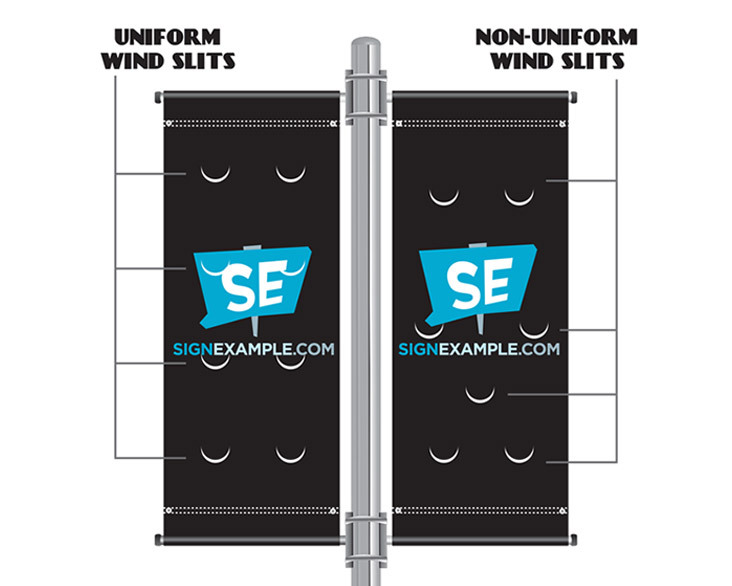 Wind slits help reduce wind load. The more wind slits you add the less wind load. The problem with wind slits is that they can cloud your design. There are basically 2 strategies with wind slits. Uniform throughout the banner or Non-Uniform around text and logos.